We offer high-quality limo services in Niagara regions Both Canada and USA, Looking for Niagara Falls airport limo offered airport limo and taxi transportation services in Niagara Falls Ontario, Niagara-on-the-Lake Ontario, Fort Erie Ontario, Welland Ontario, Port Colborne Ontario, St. Catharines Ontario, Thorold Ontario, West Lincoln Ontario, Grimsby Ontario. 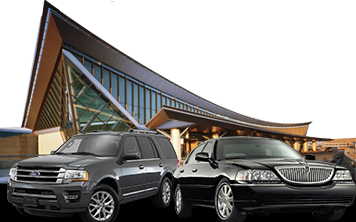 Niagara Falls Airport Limo offers everything from limo service, car service, Airport Transportation, Airport Taxi service and also private hourly charters. 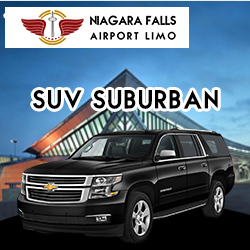 Niagara Falls Airport Limo fleet consists of late-model, Sedans, Vans, Stretch Limousine, and SUVs. 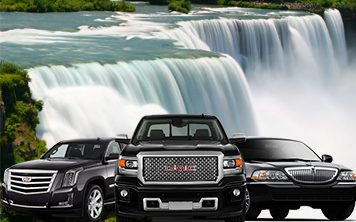 Our Fleet have the best selection of vehicles in Niagara Falls. Whether you headed to Pearson Airport, Billy Bishop Airport (Toronto Island Airport), Niagara Falls Airport Limo has you covered. 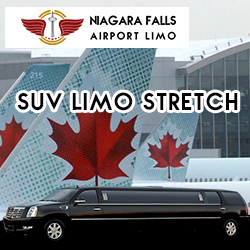 Niagara Falls Airport Limo Keep high standards for professionalism and privacy. Niagara Falls Airport Limo chauffeurs are friendly, Courteous and make your transportation throughout luxurious and relaxing. Niagara Falls Airport Limo guarantees on-time service, And for your Convenience 24-hour availability, competitive rates, also offering discounts to our valuable Customers. We also Welcome groups, corporate accounts. 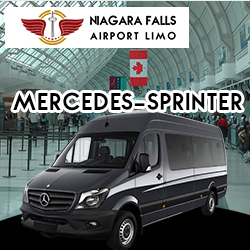 Niagara Falls Airport Limo also provides Frequent Rider Program. If you travel frequently, contact one of ours Customer service representative for unbeatable rates. 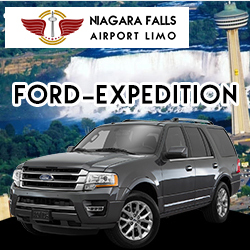 Niagara Falls Airport Limo can handle all your traveling needs. Niagara Falls Airport Limo has professional authorized trained, uniformed drivers, to serve you better experienced with discounted flat rates. 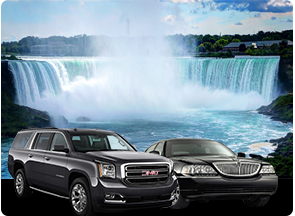 Niagara Falls Airport Limo smoothes possible all your airport transportation requirements. 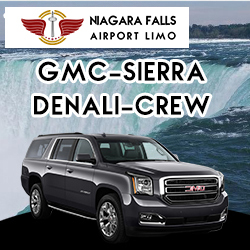 We provide limo service from the Buffalo-Niagara International Airport to St. Catharines, to Grimsby, to Smithville, to Welland, to Fort Erie, to North Tonawanda, to Dunnville and surrounding areas of Niagara regions. 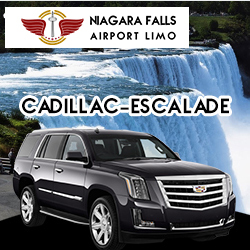 Niagara Falls Airport Limo is providing the latest model of Fleet Like Lincoln town car, GMC Yukon Denali, SUV Suburban, Cadillac Escalade, Ford Expedition, Stretch Limousine etc. Our Niagara Falls limousine services offers can give VIP limousines to everything from reasonable airport transportation to wedding limos, prom and graduation limo rentals to Casino trips. Call Niagara Falls Airport Limo by Toronto Airport Limo whenever you require considerate, proficient, solid VIP transportation in wonderfully kept up late-display VIP limos. Wedding Limo Niagara Falls Airport Limo. Niagara Falls Airport Limo also offers Wedding Limo Services for the best event of your life. For each wedding our service, we endeavor to make it additional unique. We comprehend that your wedding is the most critical day in your life and that you have numerous options here in the Greater Niagara range for Wedding Limousine Service, so we need to win your business every single time we open our ways for you. It's a test we invite. Niagara Falls Airport Wedding Limousine Service offers numerous decisions for your transportation, from extending limousines, SUV limousines to limo transports. Come, find what our service truly means and experience extravagance and service outstanding. Limo Service Niagara Falls – Niagara Falls Airport Limo Service Rentals, Weddings, Proms, Night Out and Birthday Party Limo. Niagara Falls Airport Limo – Whether you require a Niagara Limo Service to inspire that extraordinary woman or man in your life, or to pop that question or just to take a limo to Buffalo Niagara International Airport for the long past due get-away, Our company is here to help get you there. Our limousines will amaze you and unwind you, our drivers will get you to your goal securely and opportune, and our office staff will abandon you having an inclination that you just managed a five star lodging. Other company services that you can book a limo for in Niagara, incorporates Bachelorette party transport limousine services, Niagara visit limousine rentals, donning occasion limos, live show occasion limos, sweet 16 party limos with a pink SUV limo, airport limousines and corporate limo rides. With every limousine service that you can book with us, something that you can rely on upon is finding the correct sort of limousine fleet. We take pride in the limousine you with the finest limousine accumulation in Niagara and all through the GTA. With such a variety of various limousine companies offering limousine fleet and limousine services, you will make sure that with Niagara Falls Airport Limo, we have all you require. Our drivers are reliable and proficient. Their expert experience and know-how ensure a smooth outing and fulfilling knowledge. Regardless of your transportations needs our drivers is obliging and have the information to get you where you have to go. We give limousine services for weddings, birthday parties, commemorations, prom night, evenings out and every single uncommon event. We likewise give airport transport services and corporate services. Regardless of your limousine needs, our drivers have you secured and are resolved with quick and solid services so you should simply get in and appreciate the ride. Copyright © 2009- 2017 , Niagara Falls Airport Limo. All Right Reserved.